When most people think of Leningrad in WW2, it is the long siege that comes to mind. But the best chance for the Axis to capture the city really happened in the opening months of the campaign. And capturing Leningrad would have made big differences on the outcome of the war. You command the powerful forces of Germany, Finland, and the Soviet Union, from July to December, 1941. LENINGRAD '41 gives both players a range of challenging decisions... each impulse of every turn. 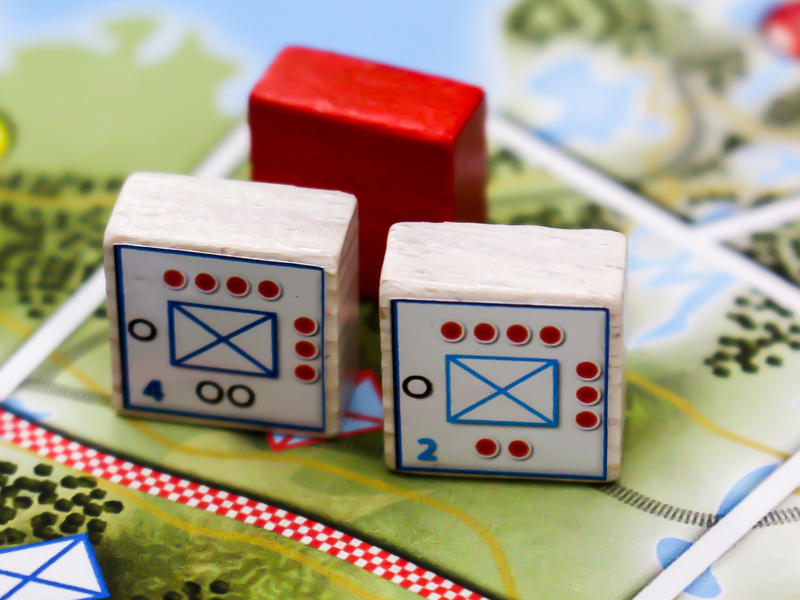 Wooden blocks and colourful PVC stickers represent your troops and the command structure, providing both easy bookkeeping of unit strength and abilities, plus “fog of war” that forces players make choices without knowing more than a commander gets to know. 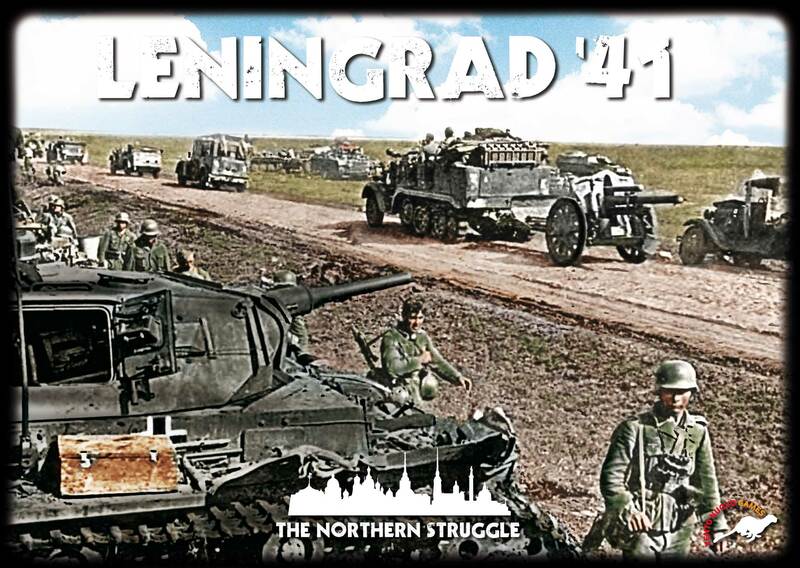 Leningrad ’41 is a complete game, including a large, full-colour map in heavy card-stock, 62cm x 84cm. The units are portrayed by 110 colourful, precision-cut wooden blocks and 124 PVC stickers. Plus, there are over 100 other wooden pieces used for initiative, bombers, defensive positions, game information, etc. The game box includes 2 lightly laminated Player’s Guides and Set-up/Info guides for the full Campaign game and three shorter scenarios. Playtime varies from 2 hours for the Campaign to 1 hour for the shortest scenario. The game sets up easiest for two players, though three or four player combinations also work. 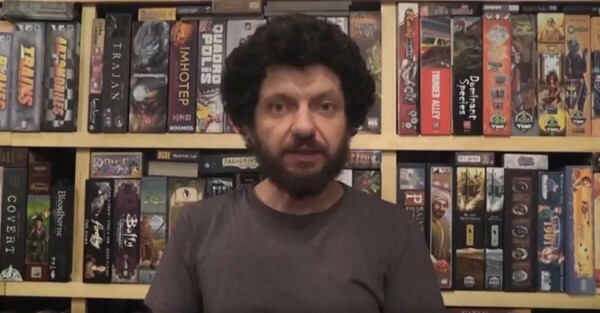 The “Fog of War” might seem to make solitaire hard, but players tell us that the game is still very interesting "solo" and gives them a chance to explore different strategies. While the Soviets stagger backwards in retreat, the rapid German advance has disrupted their organization as well. Both armies are in chaos and the game captures this with its starting setup. The map has positions for starting units, but in most cases, it is not completely defined which units exactly will go in a place, which is determined randomly. The owning player will know (after set up) but his opponent will not. This means no two games will set up exactly the same way (and means there will never be a “perfect” or “optimal” first move for someone to discover and use again and again.) Likewise, most reinforcements enter the game randomly, via a pool.